Rich Jones collaborates with record label Tree House Records and recently he signed Chaos FT. CeCe Peniston song “Believe” and has Tracy Young, Dirty Pop, other new remixers and himself DJ THEE FILTH. The following interview to Dj Thee Filth was given by our collaborator and friend, George Galindo. How are you & what’s up?? I have my first question for you. When, you were a boy what & who inspired you to proceed in music? What favorite music did you listen to then & now? Where did you find the inspiration to balance your life? Tell me a little more about your business & getting Miss Wonderful CeCe Peniston on board and your beautiful bangin remixers are THE BOMB! Ok, Lol I know that I got carried with thought it was only one question though I am on a roll. It was so good to see you again. Thee Filth : I would also go over to my buddies, houses and swap music with them because their parents did a lot of traveling and they always brought music back with them. So, I would buy albums and LPs and try mixing them together. My freshman year in college at Texas A&M Commerce, I brought my rigged DJ system with me and Djd at some frat parties It wasn’t until I moved to Austin after playing college basketball that I happened to be at the right place at the right time when Club Hollywood was opening and needed a DJ. I was hired to be one of the DJs but I really didn’t know what I was doing. 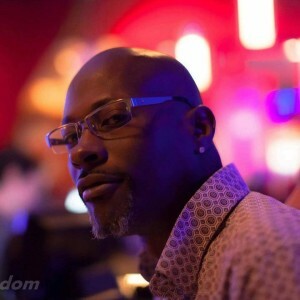 I would sit and watch DJ Seville spin. She was the first female DJ I ever met. Then I met Michael Hernandez “Miss H”. I gave her my very first mixed tape and she totally gave me the criticism that I needed. Wasn’t what I wanted to hear, but it was what I needed to hear and from then on, I would watch him at club 404 along with Craig Edwards and Kevin K. Then I would go to OCH and hear the Miami boy Carlos Fusaro and my Chris Allen (Dj Dig’em) spin. This was back in 94. I would sit and watch intently. Then I eventually got better and better because I would practice NONSTOP. One day I stumbled into Proteus where I first heard Dj Herb Agapetus. He blew my mind with all the underground music and techno. That in itself was life changing. I had the keys to Hollywood, so After Proteus would close at 3 or 4am, I would invite some friends over and I would spin for them. Each weekend I would do that until word got out that there were DJs playing somewhere. We decided to start charging people to come by and dance to our sets and it took a life of its own. Hollywood Afterhours was born and I still til this day have not seen an Afterhours here in Austin that would stay open until noon the next day with at least 100 people still wanting to dance. Those were the glory days. My favorite music to listen to now days…I like to listen to old R&B and Funk…the Temptations, SOS Band, jazz, and old hip hop. I also like my 80s music! Other than that, I listen to a TON of House music. Tons of it! A lot of deep house is on my home playlist. My buddy Shawn Zilka, aka Chaos is the owner of Treehouse Tribe Records based out of San Francisco. We met each other way back at Hollywood Afterhours and have been close since then. He hired me back in December of 2014 to be head of A&R of the label. I believed in his vision and along with the hiring of our consultant, Houston Andrews from Glam Magazine, things took off. 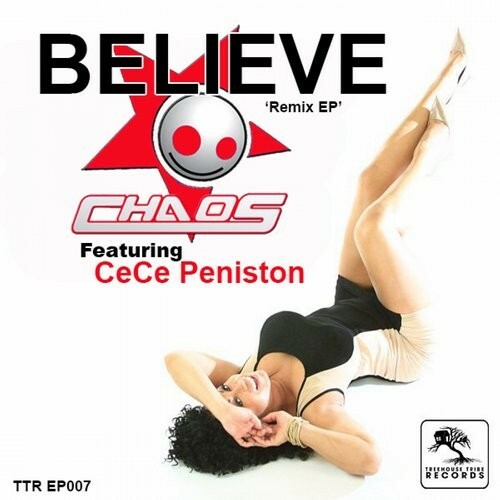 We were privileged to have the wonderfully talented CeCe Peniston do a track with Chaos and the track hit number 2 on the UK Cool Cuts Charts, and #5 on Billboard.